Ever since I started wearing lipstick in fifth grade, I’ve never successfully adhered to iconic makeup artist Way Bandy’s philosophy of “less is more.” Nope — more is more, and the more eyeliner, lipstick, and mascara I can paint on myself, the happier I feel. That’s because for me and many others, makeup is just another creative outlet that allows us to express ourselves. Unfortunately, as I’ve gotten older, my morning beauty routine has gotten shorter in the name of sleep and accommodating my busy schedule, but the launch of a new makeup brand has inspired me to reclaim that time. 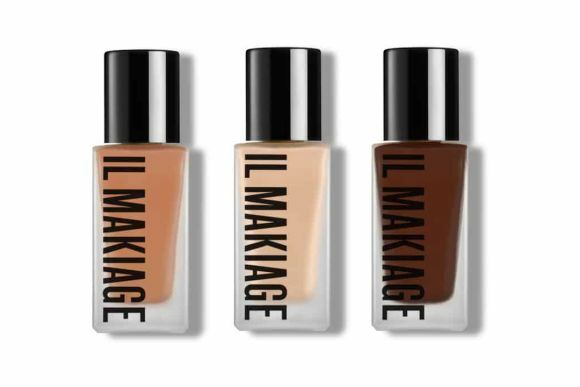 If you’re a die-hard beauty fanatic, the name “Il Makiage” might look familiar to you. 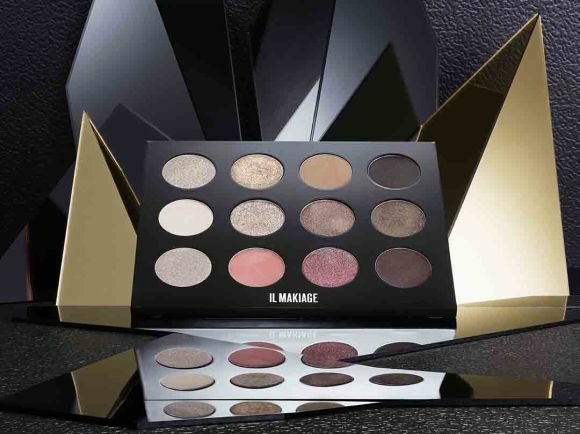 The brand was originally launched in 1972 under Ilana Harkavi, who became a makeup artist after falling in love with stage makeup as a ballerina. It was known for its innovative formulas, but it was only available for professionals, and so faded into obscurity over the years. It wasn’t until 2013, when Israeli brother-sister duo Oran and Shiran Holtzman acquired the brand (and a $29 million growth capital investment) to remake the once-iconic Il Makiage from scratch, with a flashy relaunch in 2018. The siblings spent those five years methodically planning for the brand’s re-debut. They both firmly believe in chasing quality, not trends, spending a minimum of two years on developing each product. “Everything we do is with uncompromised approach,” said Oran at the Il Makiage launch event. Shiran expanded on that by divulging that there is only one rule for the R&D (research and development) team: never launch a product until everyone is sure that it is the best product in its category. The team does this in a seemingly simple, but genius way: blind testing. Once they feel a product could be ready for market, they send it — along with the top three formulas in its category from other brands — to an independent group of over 40 makeup artists. (The makeup artists do not know which formula is which, as defining packaging characteristics are concealed.) The pros, whose specialties range from bridal beauty to special events, then test out each one. If the formula from Il Makiage doesn’t come out on top, the R&D team starts over, because only the version that beats the best products in its category makes it to shelf. That same painstakingly thorough methodology to creating their collection is the cornerstone of the brand’s philosophy: “100 percent high maintenance.” Il Makiage aims to take the negativity out of the concept of high maintenance. This is twofold — they are against the concept of adhering to the (actually time-consuming and product-dense) “no-makeup makeup” trend just because it fulfills others’ views of what beauty should be. They’re also speaking to beauty lovers that have unwaveringly high standards and want those expectations met. It’s unfortunate but true that despite thousands of offerings on the market, there’s a high percentage of beauty consumers who still struggle to find their match. Standard beauty industry practice has always been to wait after releasing a new formula, letting a company gauge interest on shade extensions before releasing a larger assortment of options. To see that kind of commitment to diversity by Il Makiage should be celebrated and seen as the new standard. While I know it’s much easier for me to find a close foundation match for my super fair skin than it is for my friends with deeper complexions, I’ve still struggled to find the right balance of yellow and pink undertones in a pale hue. Shade 020 (light neutral pink) disappears into my skin so perfectly that I’m embarrassed I was wearing my old, apparently mismatched formulas for so many years. The medium, buildable coverage makes my skin look fresh and flawless, without every caking up in any crinkles or pores. Topped off with a setting spray, it absolutely doesn’t budge until I wipe it off before bed. And perhaps more importantly, in the weeks following the Il Makiage launch event, I’ve been getting up earlier every morning to apply my new foundation — and go deeper into my a.m. beauty routine than I have in years, just because I can (and it’s fun!). Because remember, more truly is more — and that kind of high maintenance is a good thing.